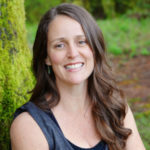 Kelly began the path of yoga almost 25 years ago while attending the University of Florida where she received her Bachelors degree in Psychology and her Masters degree in Health Science Education, specializing in holistic health. She has been teaching health and wellness for over 20 years. She is a YogaFaith ambassador and a faculty member at Montreat College where she teaches classes that blend the ancient practice of classical yoga with sacred Christian scriptures. She is a lover of God and follower of Jesus- studying His life and teachings and learning to live and love with His heart. Kelly firmly believes in the power of yoga as a tool for integrating the person as a whole: body, mind and spirit. She understands yoga to be a spiritual discipline, using the practice to “still the turnings of the mind” in order to rest in the sovereignty and perfect love of God. Kelly lives Black Mountain, NC with her husband and their two children. When she is not on her mat, you can find her hanging out with friends and family, homeschooling her teens, gardening, making jewelry and other art, playing with her dog or reading and contemplating life’s deepest questions.